Myanmar: What’s Next for Asia’s Last Frontier? One year into democratic rule under State Counselor and National League for Democracy (NLD) leader Aung San Suu Kyi, Myanmar’s economy continues to receive mixed reviews. The country made BMI Research’s shortlist of the “10 emerging markets of the future” last year while also facing criticism for slow and confusing economic reforms. We spoke with OnFrontiers expert Pete Silvester to get some ground truth on the business landscape in the country. A strategy consultant and policy analyst specializing in emerging markets in Asia and the Middle East, Pete co-founded Myanmar’s first startup incubator and just wrapped up five years of building businesses in the country. How have the political changes in Myanmar affected the business environment in the last five years or so? During my time in Myanmar, I saw the business environment go through some major ups and downs driven by political change. Just before I arrived, then President Thein Sein suspended a large Chinese-sponsored dam project in late 2011 in response to public protests. This marked a shift from the previous administration’s China-focused economic approach and was a sign that the new Government was more open to Western business ideas. The political changes led to a groundswell of interest and excitement in investing in Myanmar. This wave of enthusiasm was followed by a wave of policy changes by the Government to facilitate investments, including a new foreign investment law that created some opportunities for foreigners to earn equity in businesses in the country. At the same time, the old crony capitalist system continued to thrive, as the elites were the only players with the capabilities to deal with the amount of capital flowing into the country. This led to some interesting tensions between the entrenched elites and the Westerners who had to work together. In the six months or so leading up to the November 2015 general election, the wave of investments stalled and almost retracted because of political uncertainty. The business community didn’t know where Suu Kyi stood on a lot of policy issues fundamental to their business interests so it held back and is still in somewhat of a holding pattern. As State Counselor, Suu Kyi and her appointees haven’t been the kind of leaders the international community would have liked, and although the NLD has an interest in economic liberalization, economic policy remains politically tricky and they don’t seem to be getting much done. How has the telecommunications industry evolved and influenced the business environment? When I first arrived in Myanmar, the Government had monopolized telecommunications, and this meant that the internet was far beyond reach for most people. It was unreliable and one of the most expensive in the world. This all changed in 2013 when the Government decided to solicit bids for telecommunication licenses and opened it up to foreign companies. The process was managed by external consultants who did a fairly good job, and the establishment of modern communications over the next couple years has opened up a whole new aspect to the economy. 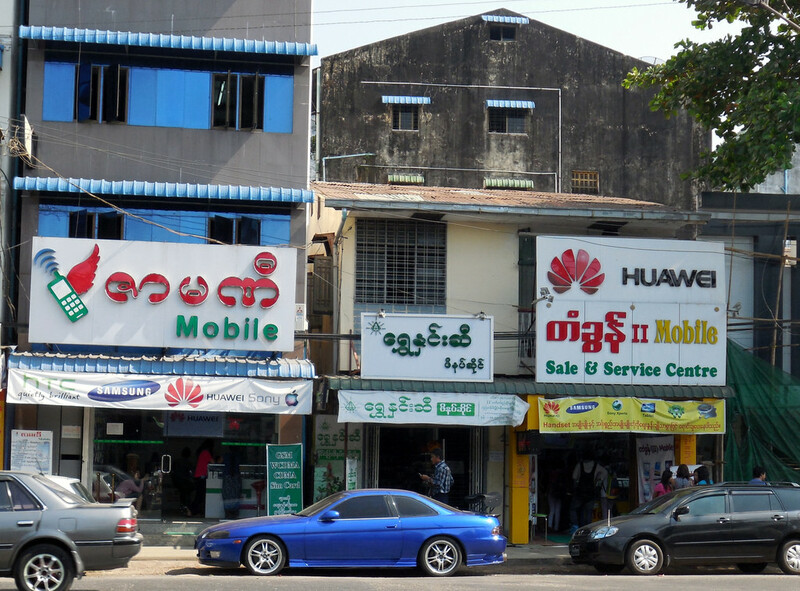 There are still challenges – the language barrier is tough because Myanmar fonts aren’t easily compatible with existing platforms – but the telecommunications boom has created space for international companies as well as opportunities for local entrepreneurs to get involved in a growing and potentially lucrative sector of the economy that would traditionally be walled off for the privileged few. What’s your take on where Myanmar’s economy is headed in the future? It’s interesting to see that despite the digital boom and other reforms, Myanmar’s economy is still dominated by the old elites on the whole. There are a few big foreign companies that have found some space to operate independently, but most still have to deal with the established elites. It’s a top-heavy economy with well-established big businesses taking the most lucrative sectors, and then thousands of micro-businesses serving poor and rural customers, without a lot of successful smaller and mid-sized businesses in the middle. I believe that Myanmar is headed on a path similar to other capitalist societies in Southeast Asia, such as Thailand or Cambodia, where the very rich dominate the scene because they are the well-educated players with access to enough capital and political connections to grow their businesses to occupy unfilled positions in the market. Property values have skyrocketed in Yangon over the last decade, and prices are now prohibitive for new entrants. Quality local talent is already comparatively costly compared to other countries in the region. So overcoming these challenges in a volatile market will be difficult for the smaller companies, suggesting that international companies acting independently and the established locals are likely to continue to dominate the economy. The country is also likely to remain a resource-dependent economy with many businesses focusing on extractive sectors. The tourism industry has a lot of potential but is still hampered by poor infrastructure and government meddling. The country is performing well below its agricultural potential – each value chain is ripe for disruption with even modest improvements in productivity and competition. Some Myanmar watchers continue to get excited about a growing middle class in the country, and we may be beginning to see this in Yangon. While I agree that the development of a true middle class could create many new opportunities, I think the country is still pretty far from a critical mass, perhaps 10-20 years. What challenges and opportunities would you flag for someone getting involved in Myanmar? There are several common challenges that most businesses face in Myanmar. The competition for talent is intense – menial labor is cheap for now, but higher quality talent has been expensive ever since the big telco entered. The Government’s capabilities are still pretty limited so businesses that require a supportive regulatory environment or responsive policymakers may run into trouble. Finally, those wanting to get involved in rural areas will have to overcome infrastructure challenges. That being said, there are definite opportunities for tech-savvy businesses with simple business models. The extractive industry is a different ball game with its own challenges, particularly on the policy side and with ethnical considerations. For the most part, the “30,0000 foot” perspective is entirely overrated in Myanmar because it just presents the obvious challenges and fails to reveal the opportunities to any comforting degree of detail. There’s so much information that you only get through local networks. Myanmar people respect commitment, and they’re tired of the foreigners that fly in to do a few meetings on the side of their vacations. Committing from afar can be daunting, but the growth trends in Myanmar are obvious and appealing. I’d recommend companies that have value to add in Myanmar just enter quickly with a technological focus, deliver something modest and simple to start, and then use that position to make friends and learn more about the real opportunities for growth. The people I’ve seen take this approach have had a couple of challenging years but are now in a great position to reap the benefits of a unique frontier market with excellent growth potential. Want to talk to Pete? Schedule a consultation. Featured image was taken by Waltraut Ritter and posted by Flickr user Open Knowledge. Director and Senior Consultant, Morris & Silvester Pte Ltd. I'm a strategy consultant and policy analyst with 10 years of analytical experience, with a focus on emerging markets in Asia and the Middle East. Having just wrapped up 5 years building businesses in Myanmar, I've relocated to Beirut, Lebanon to focus on the Middle East. I run a research and advisory practice that has advised dozens of clients on entering challenging frontier markets, particularly in Myanmar.